We are fully certified, insured and registered with our local authority. 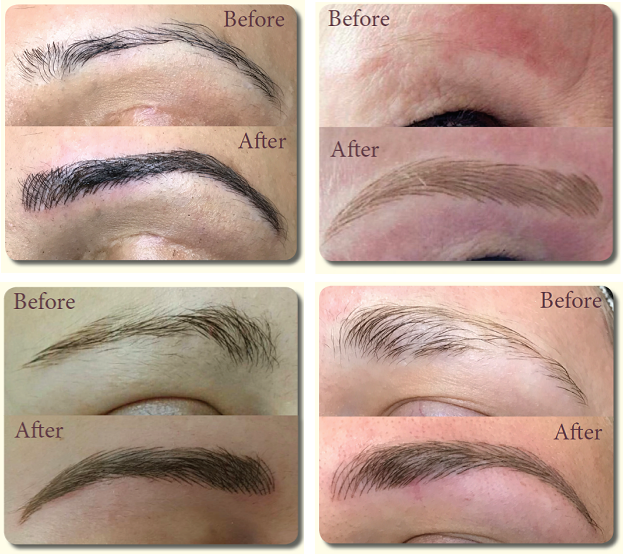 Microblading is a safe and effective form of semi permanent make up, that lasts up to 2 years. 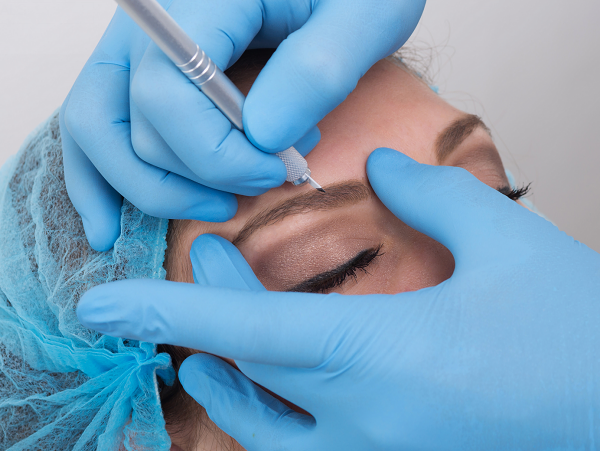 It is carried out by using a very fine, disposable blade to deposit hypo-allergenic pigment into the deep layers of the skin, creating a hair stroke effect. Microblading is perfect for those who want to enhance, fully reconstruct, define, cover gaps or fill in over plucked brows. Also ideal for those who want to add a slight arch, length or more definition to their brows. Before your initial treatment, you will need to visit the salon to fill out a medical questionaire. If that is satisfactory, we will then give you a pack containing a patch test for the pigment and anaesthietic. The pack also contains a consent form. Patch tests need to be carried out 3 days prior to your procedure. A £50 deposit will then be required to secure your treatment, which is redeemable against the cost of your procedure. Your first appointment will consist of a thorough consultation to determine shape, colour, thickness and general expectations. The procedure will then be carried out to the highest standards as you would expect from The Beauty Studio. The Microblading Technician (Charlotte) will adivse on aftercare and maintenance following your procedure to maximise the healing and longevity of your Microblading treatment. Once your brows have healed - 4 to 12 weeks after your initial treatment, you will need to come back for a colour touch up to thoroughly perfect your new brows. This is free of charge (this second treatment must be taken within 3 months of the initial treatment).